Ultimate Protection: With Reflexion Technology fortifying the case and tough polycarbonate protecting the back, your phone is 100% protected from impact and scratches with the most advanced technology available. Military Tested: Reflexion Technology is tough enough to pass MIL-STD-810G drop tests. Slim Design: Unlike other rugged cases, the ShockGuard doesn’t add awkward bulk. It’s sleek and thin to fit in any pocket or purse, and it works with all case-friendly InvisibleShield screen protection. Double-Layer Design: Durable polycarbonate covers the case to protect and enhance grip while a TPU interior helps absorb and distribute impact. Let drop damage be a thing of the past! 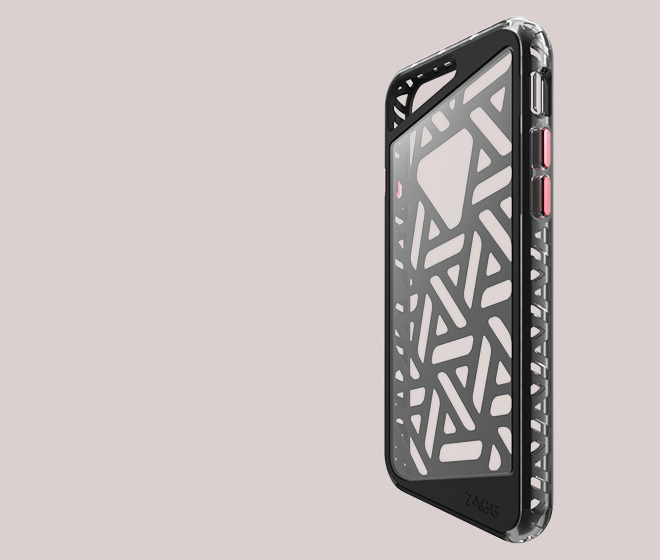 The ZAGG ShockGuard Case features Reflexion Technology™ that absorbs impact and spreads it throughout the case for unmatched protection – without added bulk. The case also includes a durable polycarbonate back so that no matter where you take your phone, it’ll stay free of scratches and dings. ZAGG ShockGuard for the Apple iPhone 6/6s (Black) is rated 3.6 out of 5 by 19. Rated 5 out of 5 by mgood from Love it! I got this case for my son and he loves it! His favorite part are the red buttons.  I love ZAGG products, they have always been fantastic, never had a problem. Rated 5 out of 5 by Noodles31 from AWESOME! i didn't think the case would have been as protective as it is, one of the best slim line cases out there. Great price point, art deco looking a must have for the mover and shaker! Rated 5 out of 5 by Ms Scorpio from Very protective! I bought this case and didn't like it @ 1st. But I love this case!! Very protective and I have gotten so many compliments on it!!! Rated 5 out of 5 by Will1988 from Amazing case I bought this case at my local zagg booth. I have to say I love this case the button feel a little cheep but that's not a big deal to me they are very easy to push I will only use zagg cases from now on. Rated 5 out of 5 by heyitsfre from Finally! Best case I've ever purchased and believe me I've purchased many. Always looking for the perfect one. Finally found it. Get compliments on it everyday. Fit and feel awesome and it's looks cool too. Rated 5 out of 5 by Sudh from Great Case I am happy with Shock guard case. Black color suits my Iphone 6s gold. I would recommend this to a friend. Happy Customer. Rated 5 out of 5 by Gator0517 from Amazing Protection, style, comfortable. Gives the phone equal look while still giving it full protection unlike many other cool looking cases that offer no protection. Easy access to all openings and charging port. Definite recommendation! Love it! Rated 4 out of 5 by Beth70 from Very sharp looking Really like the case how it looks and feels. I have the tempered glass on front. I am not really hard on a phone but I feel my phone is protected. Only 4 stars given because you cannot use your earphones while in this case The hole should be wider. Rated 3 out of 5 by Limegreennorth from Protective, but scratches and stains easily I've had 2 of these cases already, and I have the same complaints for both. The back scratches very easily. The front raised edge and back sides stain and discolor quickly and easily as well (I've only had this current one in blue - it was a replacement - for 2-3 weeks and it turned some sides a weird pink just from laying face down on my bed cover). Rated 3 out of 5 by Markus Zagg Case from Nice case but.... This case is aesthetically pleasing to the eye. The pattern on the back allows you to enjoy the colors on the new iPhone 6s. The case provides a tight fit for the phone. Please note that this does not come with front protection. I suggest getting tempered glass front. It has a lower profile compared to the otter box defender. (Which includes front phone protection a, a belt clip on and better water protection for earphone and charger terminals.) however it the Defender is bulkier and is nearly twice the price. I bought the over priced defender for my phone which is more durable but purchased the Zagg cases for my son and wife. They love them. Clearly the Zagg is more economical and pleasing to the eyes. Rated 3 out of 5 by Shortnails from Great coverage... Maybe too great This case certainly covers the phone well, but you have to either have long fingernails or a sharp object of some kind to actually get to the silent switch. Rated 2 out of 5 by interesting10 from Great looking case, bad at protecting I bought this case primarily for its looks, but I also read reviews discussing how it was very good at protecting the phone as well. I have had my phone for about a year now and have only had one other case. I had dropped in many times in my old case and nothing occurred. The first time I dropped my phone in the new case (and it was not a particularly bad drop) my screen shattered and I had to have it replaced for $120--4x more expensive than the case itself. So, if you never drop your phone and you want to be stylish this is a good case but even one drop may not make the looks worth it. Rated 1 out of 5 by Penelope5 from Had the case for a week My phone took a three foot fall off of my desk today at work and my screen shattered. The Zagg glass did not break though. Do not waste your money on this case. Rated 1 out of 5 by MJ123 from Over heating my phone I bought this on clearance and thought, what a great deal on a cute case AND screen protector. But in the 3 days I've had it there's been nothing but sudden problems with my phone. I listen to music at work and have had it suddenly "die" twice on me. When I plug it back in it has half s charge left. When I take it out of the case the phone is physically hot, not like any other cases have caused. I'm regretting this purchase and wish I could get my money back. Rated 1 out of 5 by 02451 girl from Took one look and sent it back! I was so excited to get this case after reading about it in a CNET review. I thought it looked so elegant and different! But when I took it out of the box, it looks a lot cheaper in person -- especially considering the price. I layed it on my table, put my phone in it, turned it over to look and it was already scratched all over! The cover is just cheap plexiglas that scratches REALLY easily. I guess you are meant to only put the phone down face-first; which is unfortunate since the cover does not include any protection for the front. It really should come with a front glass, especially for the price. I'm very disappointed. Customer service was very nice and arranged a return. I already have a &quot;glass&quot; screen protector on my iPhone 6. Will it fit properly into the Shockguard? Is the phone visible on the back through the design openings? yes, but not exposed as there is a plastic casing the whole way around. can you pre-order this item since its not in stock? We do not have a pre-order option. When will gray/black be back in stock? the black case looks like the side volume buttons are pink is that correct ?